The US Patent and Trademark Office awarded Google a patent for ad-based taxi services which may allow people to receive completely free rides when heading to an advertiser’s business location. According to Google’s patent application, this sort of technology will allow companies to advertise a deal or sale and then provide a free or discounted taxi service to get people to their place of business. Numerous calculations will go into the advertising program and based upon Google’s application, it appears as though higher paying customers will receive better transportation than someone that is expected to spend less money at a store or restaurant. In order to make sure that the transportation service is worth it to the advertiser, calculations will also be used to determine how much the ride will cost compared to the potential earnings from an incoming customer. Identifying customers, something that has become increasingly easy for Google, will be done with the help of smartphones or a person’s Google Plus profile. If someone is interested in receiving a free ride, deals can be seen via a phone or at a stationary kiosk. Even though the US has approved the patent, Google has yet to release any information regarding when we could see this type of service go into effect. 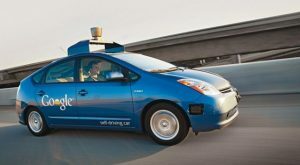 One thing that will be interesting to see once advertisers are able to take advantage of this service, is whether or not Google will incorporate its self-driving cars sometime in the future. Of course, there is no guarantee that someone who uses this transportation service will actually buy anything from the advertiser. In fact, it does not seem as though there is any way to guarantee that a potential customer will even enter the store once they arrive via the taxi. Instead, people on a budget (or in crowded cities) could use this as an easier way to get around, even if that does not involve buying something from a store or eating at a restaurant. Summary: Google has been awarded a patent for an ad-based taxi service. This will allow advertisers to offer potential customers free or discounted transportation to their place of business.